In the formative years of a student's life. Staying in a hostel is a unique experience. We at JMS believe that the best possible environment and resources should be provided to them, so that they can learn the benefits of community living, pleasure of sharing and helping each other to achieve common goals of life. Hostel life builds group dynamics and minimizes individual differences. Best part of hostel life is that it enhances ethics and core values in the students. It prepares them to face the competitive and challenging world of today. 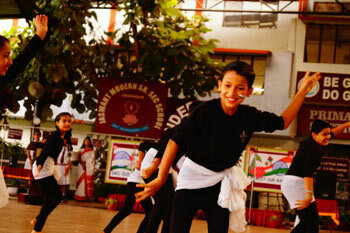 Boarders are a pampered lot as they receive the best of everything namely special lectures and guidance from visiting faculties for competitive exams, sports and other co-curricular activities. Personality development and career counselling program are specifically designed and implemented for their all round development. Boarders are taken out in the lap of nature for adventure activities like rock-climbing, rafting, skiing, trekking on a regular basis.